Formerly known as Sushi Ta-ke in the Cubus building, the rejuvenated Ta-ke has evolved into a larger, more comprehensive Japanese restaurant that comprises three distinct areas for sushi, teppanyaki and tempura. The interiors—a collaboration between Kengo Kuma and Steve Leung—offer an impressive interpretation of contemporary zen, dominated by bamboo and strategic lighting that gives the space drama and intrigue. 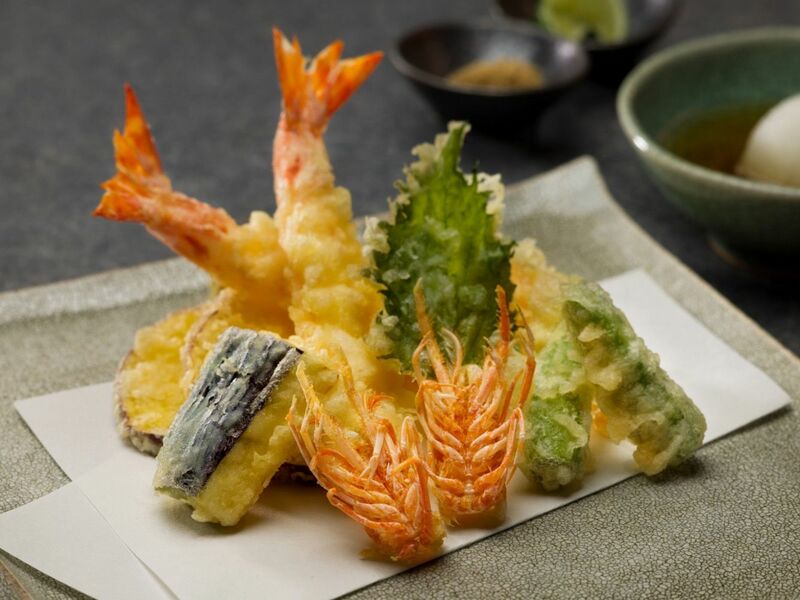 When it comes to the food, our opinion is that the sushi is still very much a strong point—when in season, the kinmedai has a mild fattiness that matches well with the vinegared rice. From the a la carte menu, creative presentation and layered flavours can be found in dishes such as sea urchin atop deep-fried tofu in dashi—an inspired update on classic izakaya offering of agedashi doufu. If you have deep pockets, be sure to sample something from the sake list, which is comprehensive but on the higher end of the scale.